Providential Homes provide food, clothing and shelter to over 300 guests each week. High quality supported accommodation helps people to break the cycle of homelessness. Providential Homes provide food, clothing and shelter to thousands of people across Sydney each year. They provide high quality supported accommodation to assist people in breaking the cycle of homelessness, housing over 300 guests a week. Accommodation is available for single men and women, women with children, youth and families. Sefa’s loan assisted Providential to purchase their first residential property in Western Sydney to use as temporary accommodation. •Providing an opportunity to develop replicable models to scale supported accommodation offerings from owned properties. Sefa joined the growing community of B Corp certified companies in August 2015. 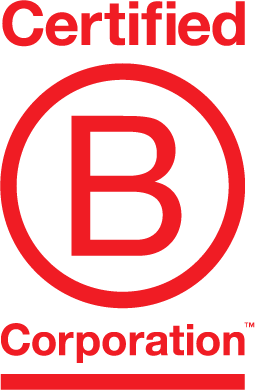 B Corps use the power of business to solve social and environmental problems, and are certified by not-for-profit B Lab to meet rigorous standards of social and environmental performance, accountability, and transparency. Sefa aims to create positive social, cultural and environmental impact whilst generating financial return for its investors. We became a B Corp because of the match with our own mission to accelerate growth of social entrepreneurship and impact investing. Sefa acknowledges Aboriginal and Torres Strait Islander peoples as the traditional custodians of this country we call home. We pay our respect to Indigenous elders past, present and future. We recognise the significant importance of their cultural heritage, values and beliefs and how these contribute to the positive health and wellbeing of the whole community. © Sefa. All rights reserved. Design by Universal Favourite.